BACES, the Brussels Academy for China and European Studies, is a platform for exchanging new ideas concerning contemporary China and China-Europe relations. It promotes understanding and critical analysis in this area. BACES was officially launched in China, at Diaoyutai State Guest House in Beijing, on 6 September 2014 by EU Commissioner Androulla Vassiliou and China’s Vice premier LIU Yandong, in support of the EU-China High Level People-to-People Dialogue. 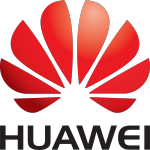 From the start, BACES was supported by the Huawei chair on Contemporary China Studies. The founding members are VUB – Vrije Universiteit Brussel (VUB), Renmin University of China (RUC), Sichuan University and Fudan University. After the launch, membership has been extended to three European universities, Ghent University, University of Lancaster and Sofia University. This extended membership fits into the strategy to establish among European partners several geographical foci, currently Bulgaria and the Balkan area, UK, Belgium and Western Europe. The platform provides post-initial education, research and policy advice. It is supported by the scholarship programs of CSC (China Scholarship Council). At this moment it operates along 4 thematic clusters: Competition, Governance and representation, Investments, Innovation & technology transfer. The signing of the BACES partner agreement with Sofia University took place on 24 April 2018 in Sofia. Rector Anastas Gerdjikov of Sofia University signed the agreement after prior signature by the Rector of VUB Caroline Pauwels. 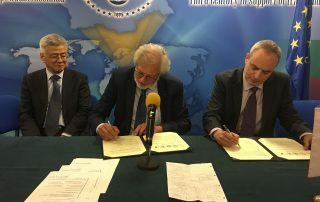 Prof. Zhang Jianming (executive vice chairman of the university council at RUC) and Prof. Jan Cornelis (Pro Vice Rector International Relations at VUB) co-signed as witnesses. BACES and Sofia Universities received a joint International CIDIC award handed over by the Bulgarian Ambassador to Belgium HE Mrs Maya Dobreva, for their multicultural and trans-disciplinary approach in bridging the gap in intercontinental contemporary societal studies and building bridges of mutual understanding.